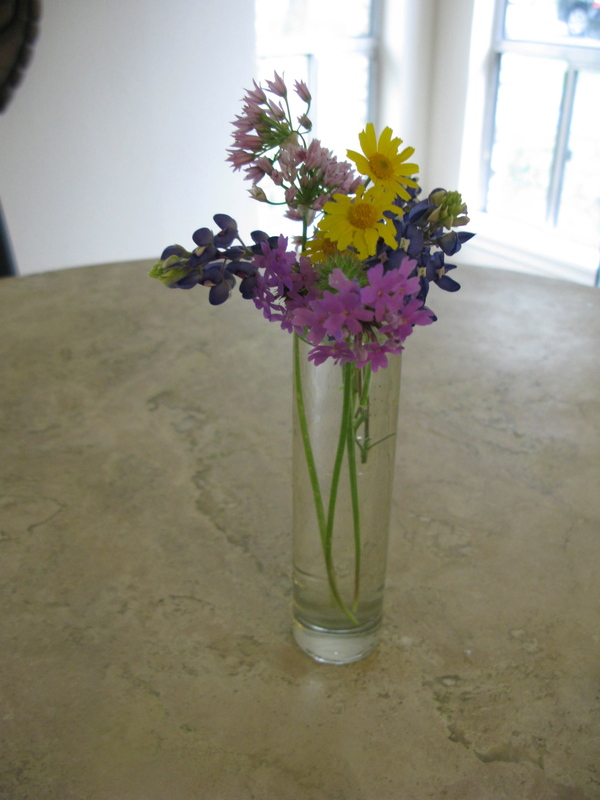 I hosted brunch for my volleyball team today and thought a few vases of fresh flowers would add to the ambiance. I always feel bad about cutting the flowers and bringing them indoors, but why grow so many flowers if I don’t get to enjoy them all the time? Your arrangements are lovely. I don’t cut flowers often, but I can’t resist cutting a few fragrant roses for my night stand. Those are all nice arrangements. 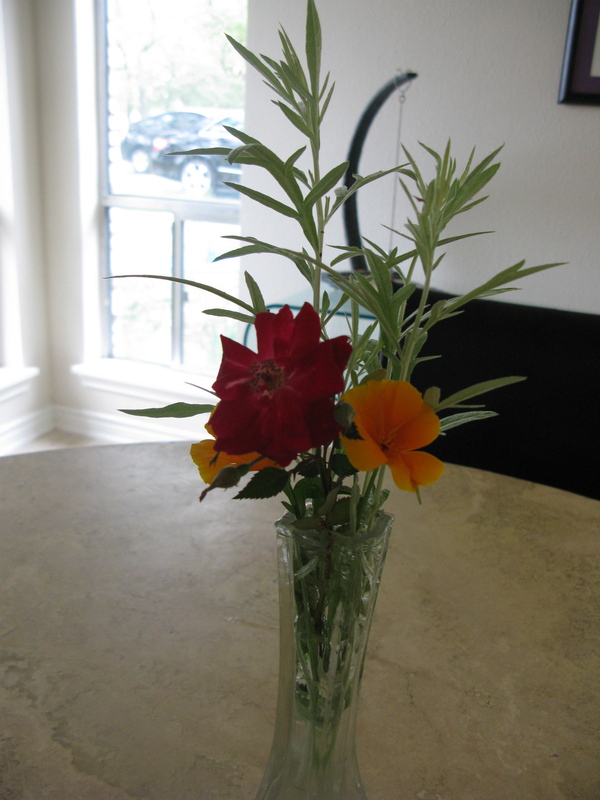 Like Ally, I don’t often cut flowers, but it’s fun to do so at times. Thanks Tina! I definitely need to do it more often, and not just for company.